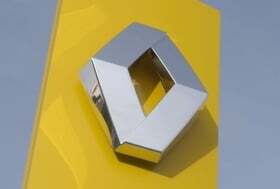 Michel Balthazard, the highest-ranking of three Renault SA executives dismissed over allegations of industrial espionage has filed a criminal complaint claiming defamation over his firing, along with his colleague Betrand Rochette, their lawyers said in separate statements. Both men have also filed actions against unfair dismissal with the French labor court, the lawyers said. The third executive, Matthieu Tenenbaum, deputy EV program chief, is also taking legal action and said on the radio station Europe 1, "I totally contest this. I really refute everything that I read in the press." 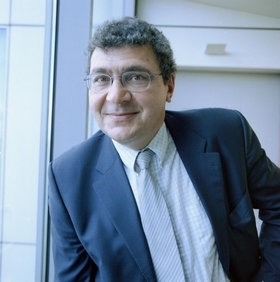 Balthazard was fired last week as Renault's head of long-term product development. He said he had made a complaint made to the Paris prosecutor in a statement released by his lawyer Wednesday. A former member of CEO Carlos Ghosn's management committee, Balthazard “has decided to exercise all the legal options at his disposal against the persons and acts that have seriously damaged his reputation,” attorney Xavier Thouvenin said in an e-mailed statement. The statement said they would "pursue all possible legal options to bring to justice the people and actions which have gravely damaged his (Balthazard's) honor in a context of excessive media coverage." Renault said Jan. 13 it had filed a criminal complaint with the same Paris prosecutor citing allegations of organized industrial espionage, corruption, breach of trust and theft, without naming suspects. Balthazard, his subordinate Rochette and Tenenbaum were suspended Jan. 3 after an internal investigation into alleged leaks of company secrets. Balthazard, a 30-year veteran of Renault, is fighting his dismissal. Balthazard was dismissed after an anonymous accusation that was “not only unfounded but also slanderous,” he said in a statement. “It has been left to Michel Balthazard to go to the criminal and civil courts in order to establish that he is an innocent victim in this troubling affair,” his attorney Thouvenin said. Renault's lawyer, Jean Reinhart, declined to comment on the legal action taken by the executives.